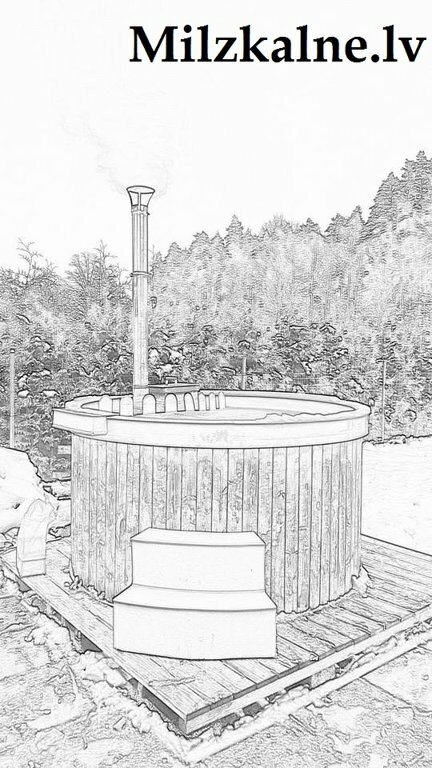 Hot outside tub is a great opportunity to enjoy sauna and SPA in an unusual way! Comfort temperature of the hot bath is from +36 to +42 ˚C! That’s why you can enjoy warmth in this tub much longer than in a Russian bath or sauna. Hot tub is a process when you can unhurriedly improve your well-being, warm deep muscles and strengthen your health! Needless to say that an event in a hot tub with friends in the evening or at night will be an unforgettable adventure! The tub is spacious, therefore 8 people can enjoy SPA procedures at the same time. The tub is located outside, therefore you will be able to gaze at stars and enjoy recreation in a cosy atmosphere! The tub is disinfected after each use and filled with fresh potable water from our well! P.P.S. The tub can be filled with cold water to cool down after sauna. The temperature of cold water is about +4˚C. The cost of the tub is not included in the guest house price and should be ordered separately.